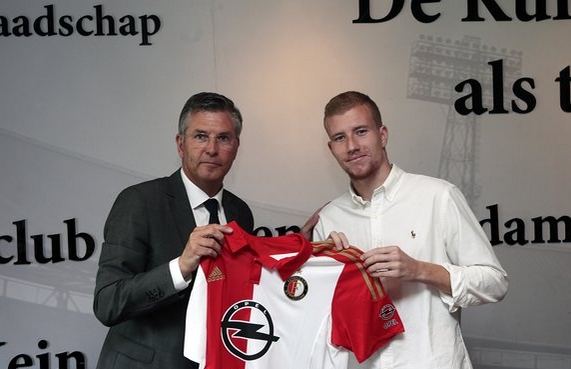 Rotterdam football club Feyenoord has signed 20-year-old Swedish midfielder Simon Gustafson to a four-year contract. Gustafson currently plays in Sweden and is the third signing by trainer Giovanni van Bronckhorst so far, after Dirk Kuijt and Marko Vejinovic. Meanwhile, English football club Southampton is poised to sign Feyenoord midfielder Jordy Clasie for a fee of around €12m, the Telegraaf and website Voetbal International said earlier on Wednesday. The move, if finalised, will reunite the 23-year-old with his former Feyenoord coach Ronald Koeman. The Telegraaf says Clasie is due in England on Wednesday to agree final details. Clasie’s contract with the Rotterdam side runs until 2018. According to the Daily Mail, Newcastle United was also interested in the Dutchman.